When one conjures up thoughts of Medellin, it is usually something about Pablo Escobar, drugs, or murder (or a combination of all three). Fortunately for us and other eager travelers, there is much more to see and do in this city that has really cleaned up its act in recent years. Granted, this doesn’t mean that you can go wherever you want, whenever you want and not worry, but as long as you use common sense (stay out of the rough neighborhoods and be careful at night) you should be fine. And if you are really interested in the whole Pablo Escobar thing, there are tours for that too, including one where you meet his brother, but we didn’t take part in that. Seeing as we don’t even really have a guidebook for Colombia, we took all our Medellin travel advice from Tatiana (a Medellin native) and her husband Dave. One morning, we took the famed Metro to Downtown. 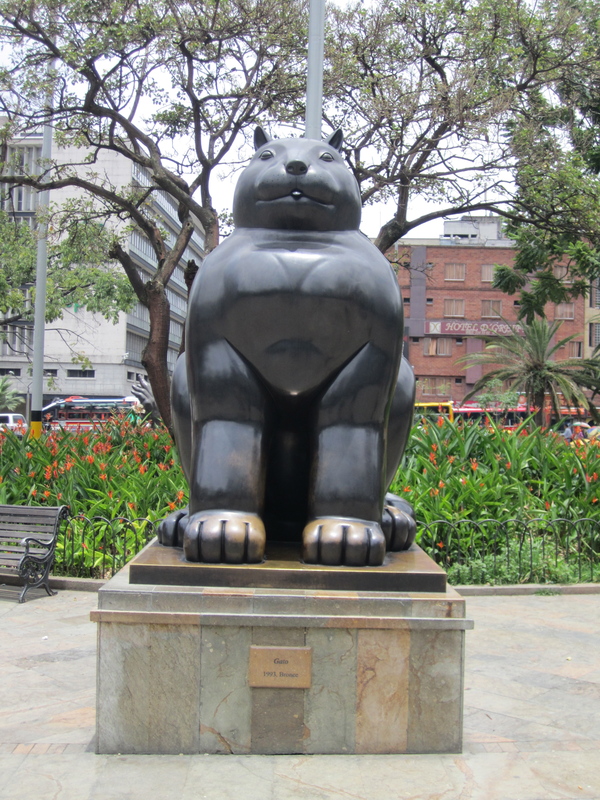 Nestled in the city center is the wonderful Parque Berrio with many of Fernando Botero’s famous sculptures on display. 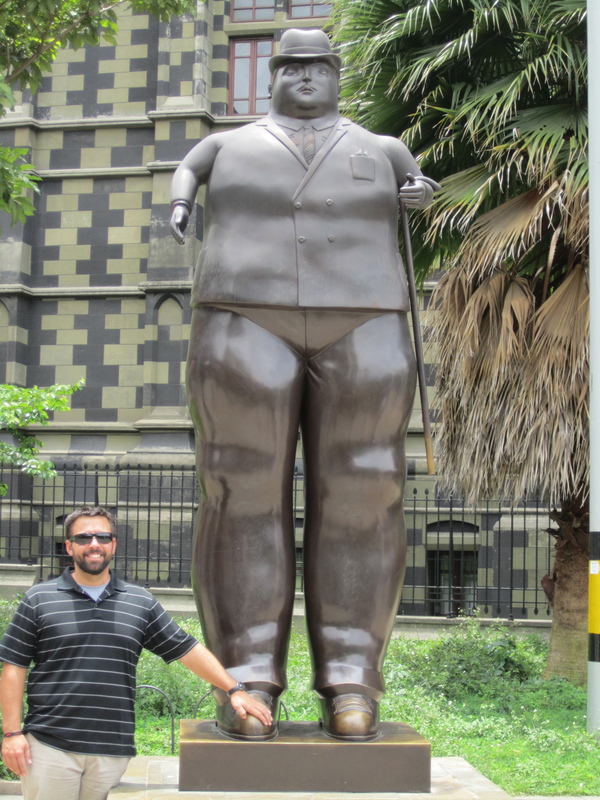 Botero, being from Medellin, donated many works of art to this park and the nearby Museo de Antioquia. Botero has a very unique style, and even if you aren’t “arty,” once you see his work, you will be able to pick a Botero out of a crowd quickly. 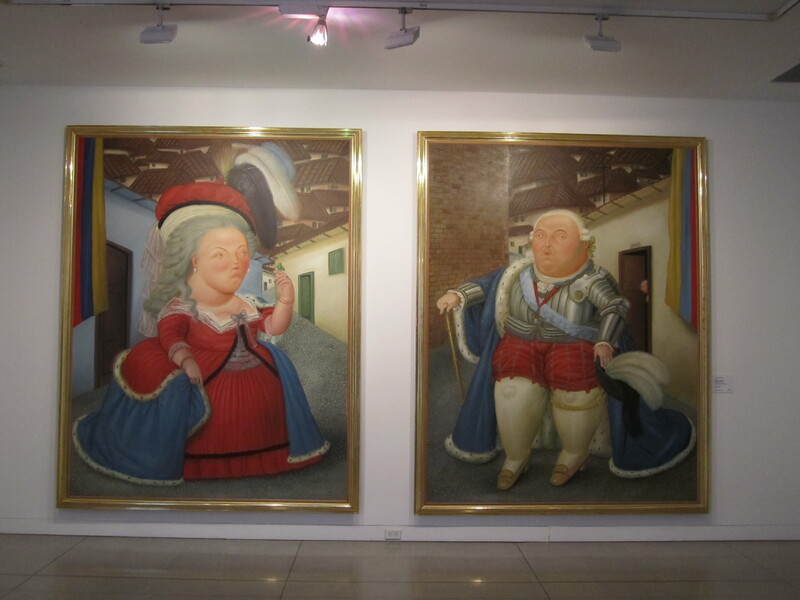 Some would say that Botero like to depict “fat” people, but he probably preferred them to be called voluptuous or proportionally exaggerated. Anyway you slice it, Huff’s cats would make great models for Botero. 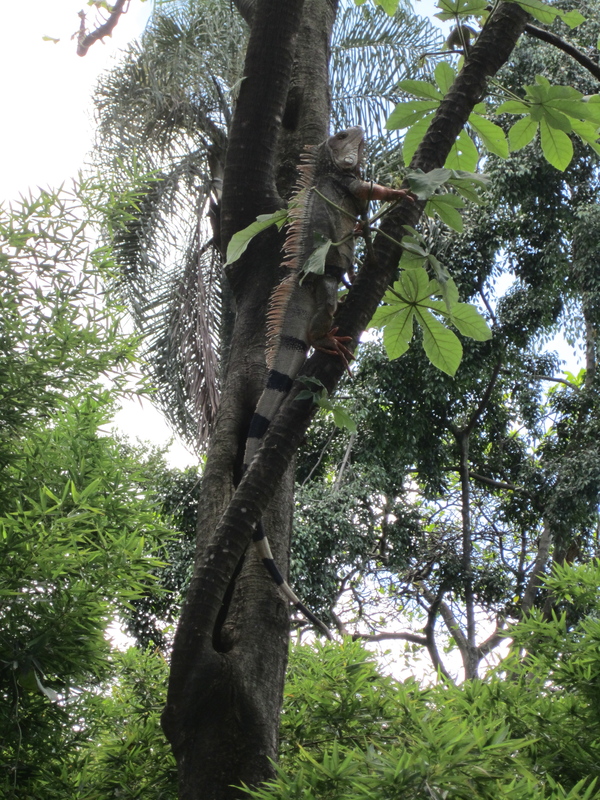 After exploring the park area, we tried to get in to the Museo de Antioquia. It was like a Three Stooges routine as there were no signs and we tried entering the museum in the wrong place three different times. Each time we were given new directions, but I guess our Spanish hasn’t improved as much as we thought. Finally, one girl in the gift shop took pity on us and took us to the other gift shop, where there still wasn’t a sign about tickets, but we were finally able to buy some. Not sure how we were supposed to figure that out. Once inside, it was quite pleasant to explore. There was a very specific “route” to follow and we were directed from room to room by the friendly curators. The museum highlighted many different Colombian artists and had many amazing pieces from a variety of time periods. Kristen was amused by how Simon Bolivar’s eyebrows were depicted in the exact same manner in every one of his portraits. The museum also had a large modern art section which, for the most part was interesting, but Joe is still questioning the umbrella hanging from the ceiling. Just not sure if it was art or just someone’s umbrella hanging to dry. I guess we’re just not in to modern art. 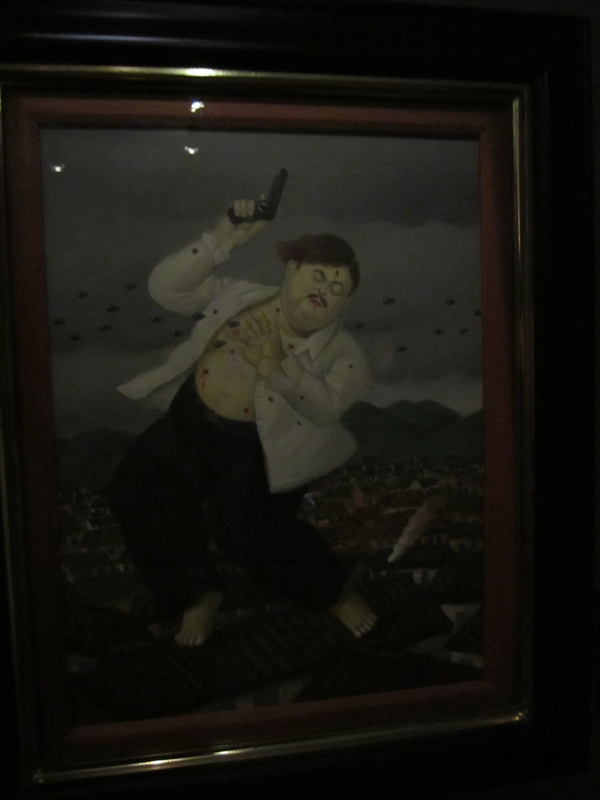 The top floor was the main attraction, as it was dedicated to Botero’s paintings and smaller sculptures. He has donated so many of his works to the museum, that they had to find a larger space to hold them all. 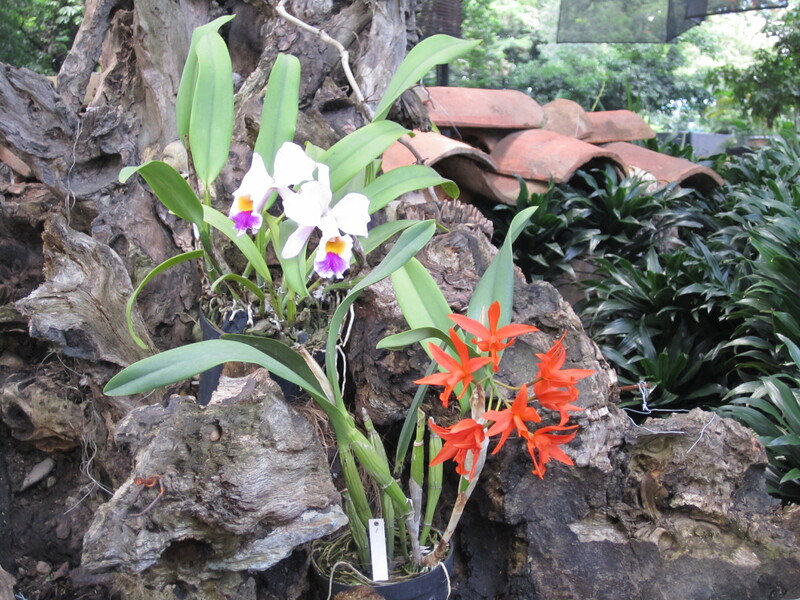 The following day we again braved the dangers of Medellin to explore the botanical gardens. The only truly frightening thing about this garden was the price: free. Seriously, who is going to pay this price just to look at plants? 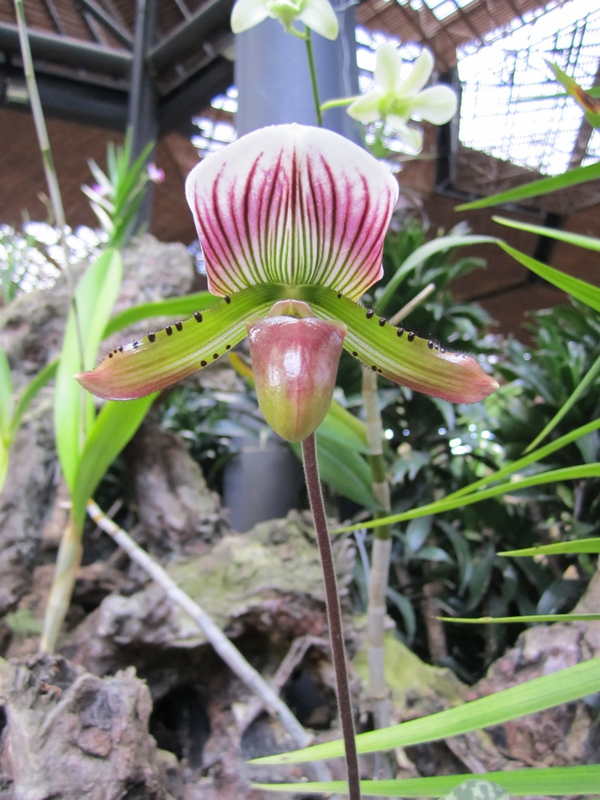 The gardens were loaded with many amazing flowers, trees, wildlife, and even a butterfly house. The gardens had very few gringos (like we seemed to be the only ones), but there were many school-aged kids on field trips. And as it turns out, we were much more interesting than the wildlife or plants. They were so amazed that we were speaking English, and some tried to impresses us with what they knew (hi, how are you, and some other select lines learned from American movies). 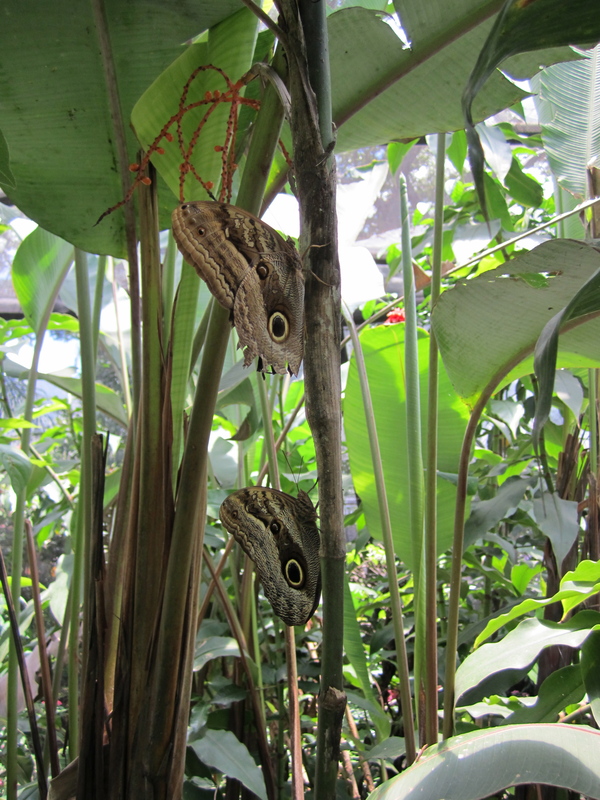 A few younger kids we met at the butterfly house were brave enough to ask us how to say things in English. I was glad I knew the basics (nose, door, window), and could actually answer! At one point while we were strolling, we were followed by two girls, very closely, just so they could listen to us speak in English. It was a bit weird to have some one follow you step-for-step only two feet behind you. Luckily, Joe felt he could take on these two pre-teen girls if it came down to it, but fortunately, it didn’t. 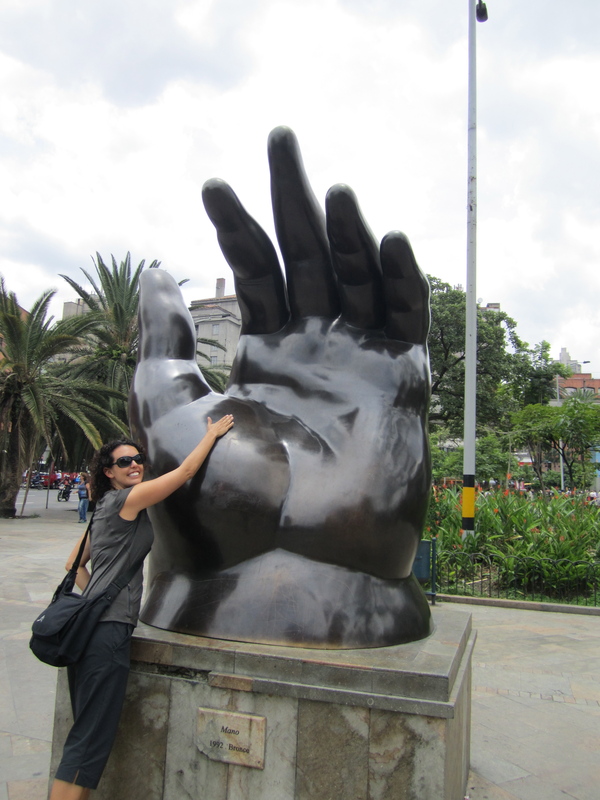 Medellin was really a spectacular unexpected stop for us, from the comfortable Yellow House Hostel with their two big friendly dogs, to the people, to the botanical garden. We had a great time hanging out with our new friends and enjoying what Colombia has to offer. Speaking of offerings, we located a real, no kidding brewery, called Tres Cordilleres. They had amazing beers, and their tasting and tour was such an unbelievable deal. Breweries in Fort Collins, take note! There will be much more information about our first brewery experience on Joe’s upcoming Chips and Beer review. Stay tuned! Wow, love the art photos and the orchid! Dang, Ollie has some catching up to do! Those are some great photos! Botero’s paintings seem to resemble Potato Heads, in a cool way. And good find on the brewery! Joe must be so excited!